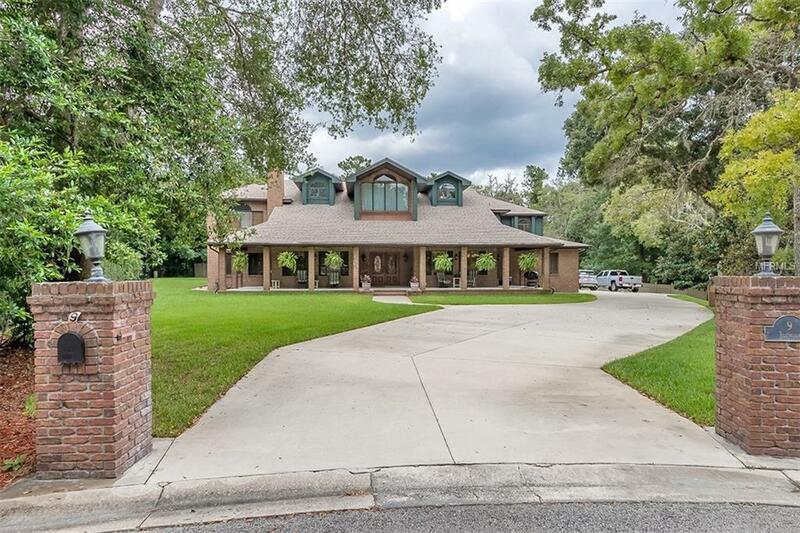 Rare opportunity for this sprawling custom estate home on 1 acre of land in the heart of Ormond Beach. 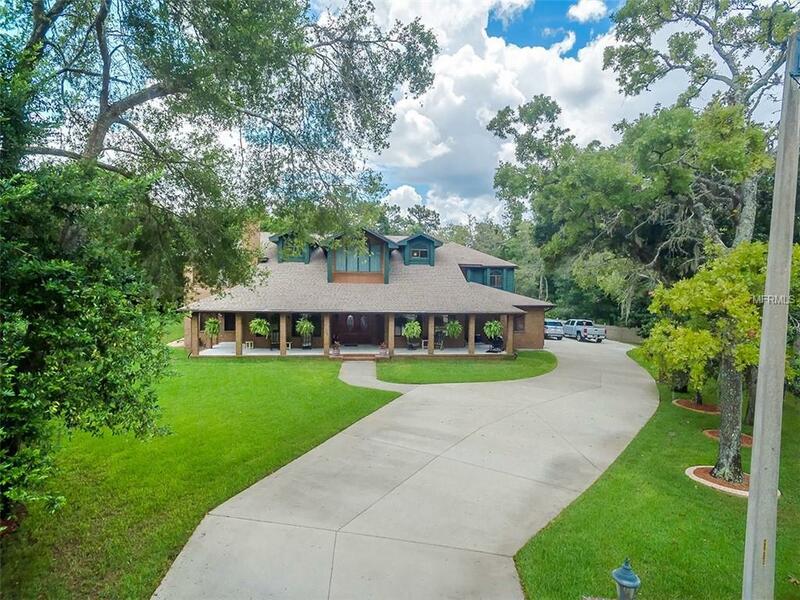 The best of both worlds with an impressive parcel of land while still maintaining a neighborhood feel with an end of cul-de-sac location, situated along the Tomoka River on a high ridge. 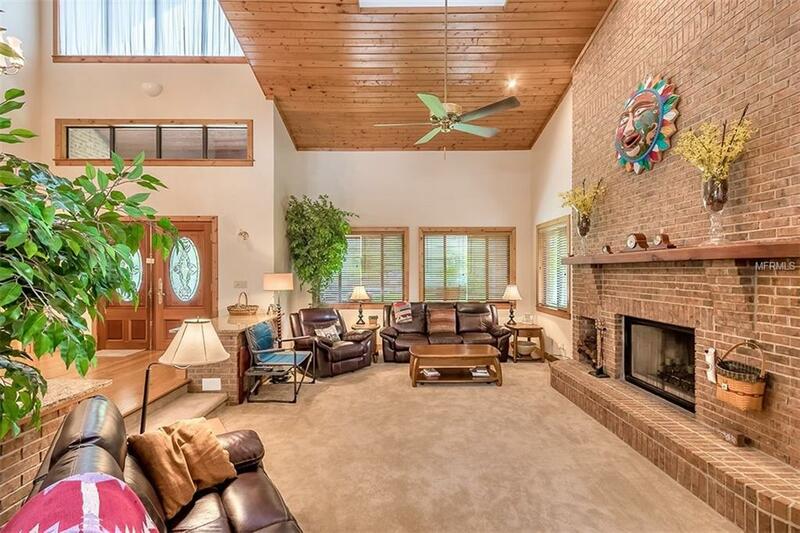 An inviting wide front porch welcomes visitors to sit in the shade before entering the handcrafted solid wood front doors and stepping into the impressive grand living room with soaring tongue-n-groove ceilings hovering above a monumental brick fireplace. The open floor plan is flooded with natural light, and the rooms all flow subtly from one to another with the outstanding chef's kitchen as the centerpiece of the interior and central gathering place for entertaining and day-to-day living. If you want to take entertaining seriously then make your way past the kitchen to the dedicated bar room/game room outfitted with a professional-grade wet bar reminiscent of an old world pub. This room with a full bath sits poolside and can be opened directly to the pool deck where you will find an additional outdoor, open air, covered bar ready for a crowd, overlooking the incredibly private grounds. The impressive room count here includes 5 bedrooms, dedicated office, separate den, game room, home gym, living room, family room, and sun room. The 8200 sq. 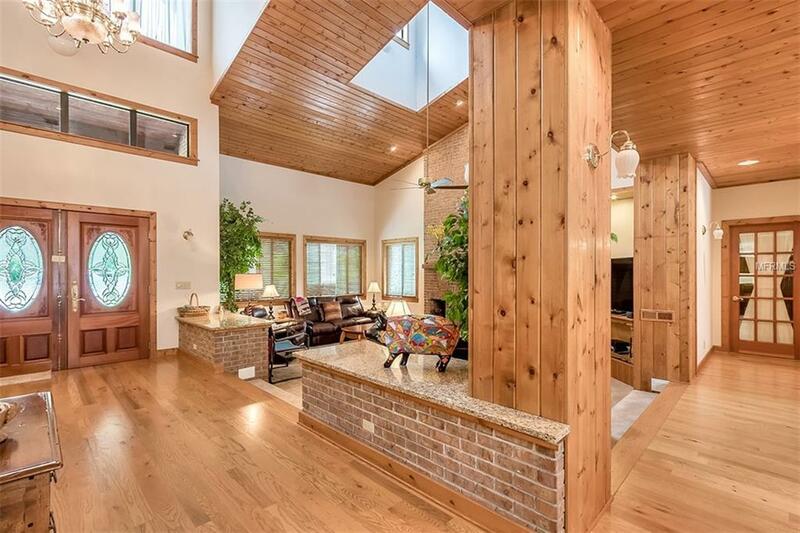 ft. of brick and cedar custom construction with solid wood appointments and magnificent handcrafted trim is being offered at a fraction of the replacement cost.